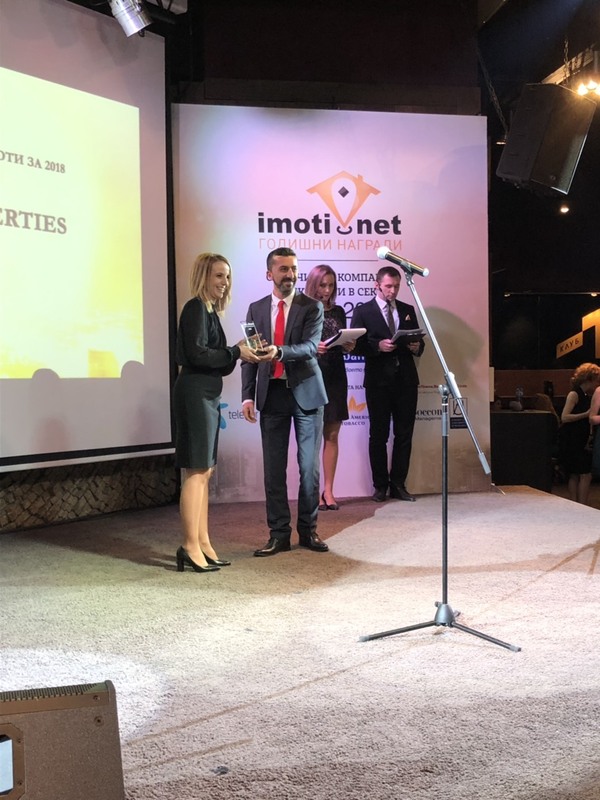 21.03.2019 BULGARIAN PROPERTIES with Awards for Agency and Broker of the Year! 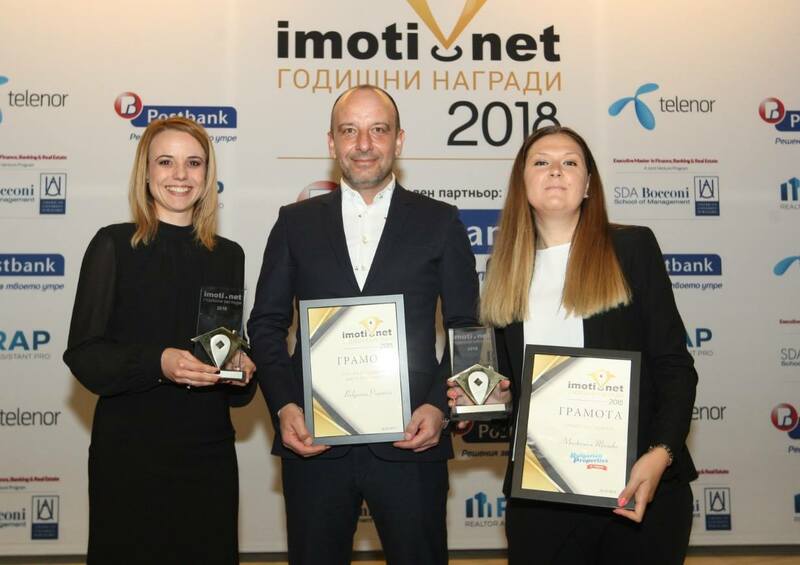 These awards come for 2018 - when BULGARIAN PROPERTIES turned 15 successful years of operations. 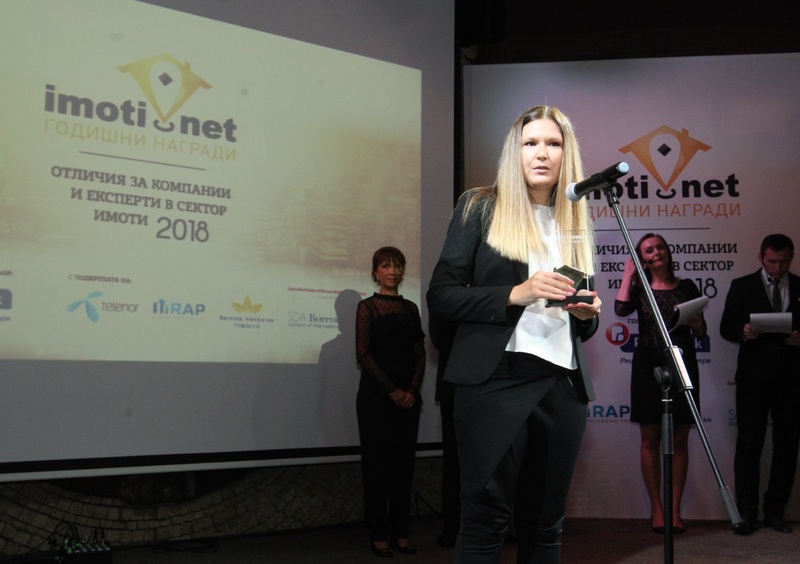 The CEO of the company Polina Stoykova received the Agency of the Year Award and thanked the whole team, which contributes to this success and which turned BULGARIAN PROPERTIES into the leading company advertising Bulgarian properties in Bulgaria and abroad. 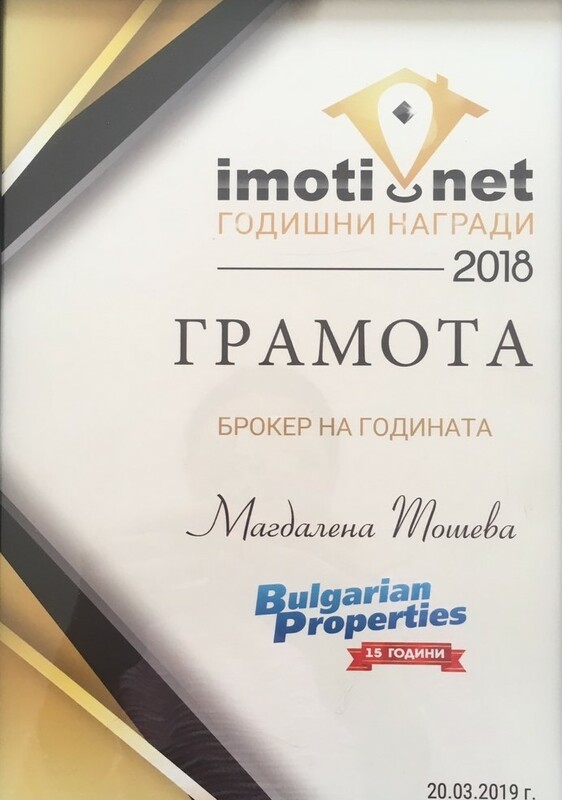 She added: "For me personally, this prize is extremely valuable as it marks a 10-year period during which I am a Managing Director of the company, a period in which together with my partners Victor Vucheliiski and Mihail Chobanov we have managed to turn BULGARIAN PROPERTIES from a comparatively unknown to the Bulgarian market agency, working mainly with foreigners, to a leading company with a huge share of Bulgarian buyers and sellers, presenting Bulgarian properties in the best way and which doesn't stop advertising the country and our properties abroad. 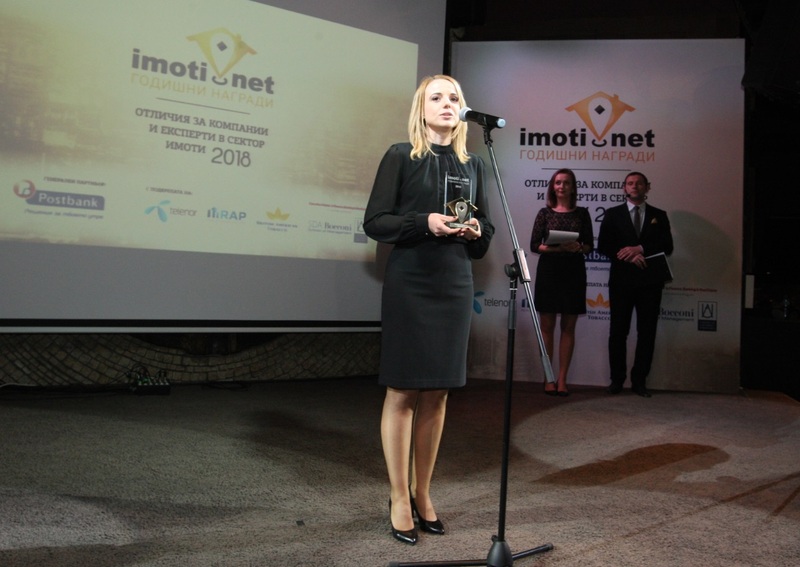 Magdalena Tosheva, in turn, told the audience: "It is a great honor for me to receive the most prestigious award - "Broker of the Year" at the Annual Awards of Imoti.net for 2018. 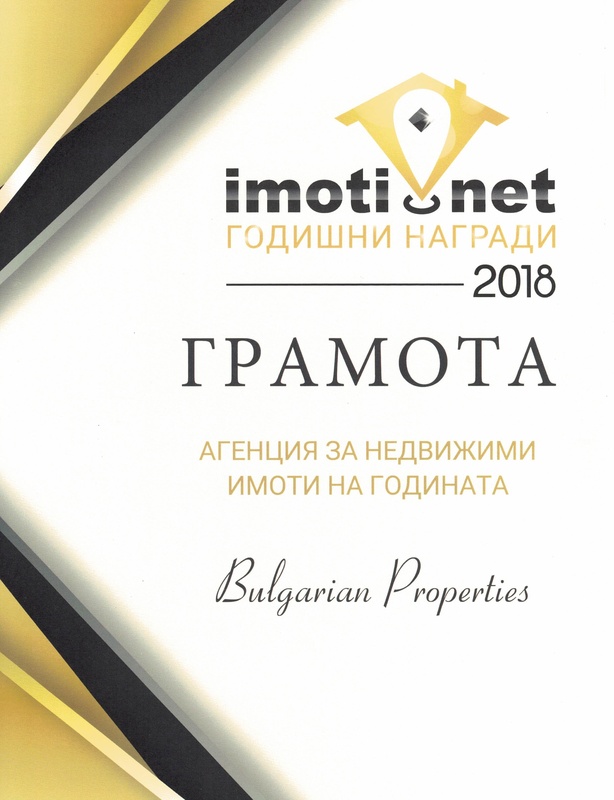 I am proud to be part of the team of BULGARIAN PROPERTIES for more than 10 years now and I would like to thank them sincerely for the unconditional support and trust. We are happy to work with some of the most serious construction entrepreneurs and investors and help them with the sales of their new developments. 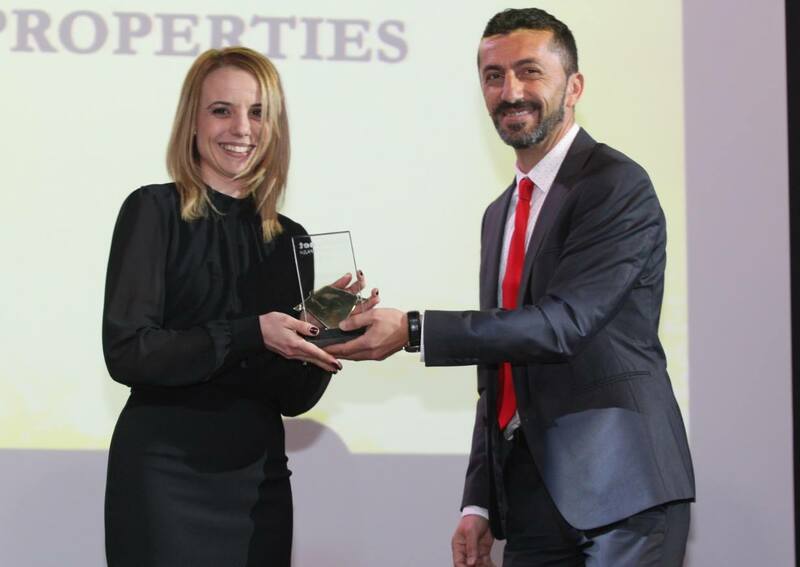 An example are residential complexes such as Vitosha View, Modera Residence, Sofia North Park and many others which sell successfully." "To be a successful broker, you are required to be in constant contact with all the clients, to assist them during the whole process of buying the property - from the signing of the Preliminary Contract to the completion of the construction, I believe that the personal contact, attitude and persistence are the basis for the successful completion of the deals and the many satisfied customers we have." The Annual Awards of Imoti.net take place for the 4th consecutive year and are a recognition for the companies and experts who, with their work, affirm the good reputation of the branch. In conclusion we can say that we started 2019 in a much better condition, maybe even peak shape, so we expect to keep the achieved positions this year as well. 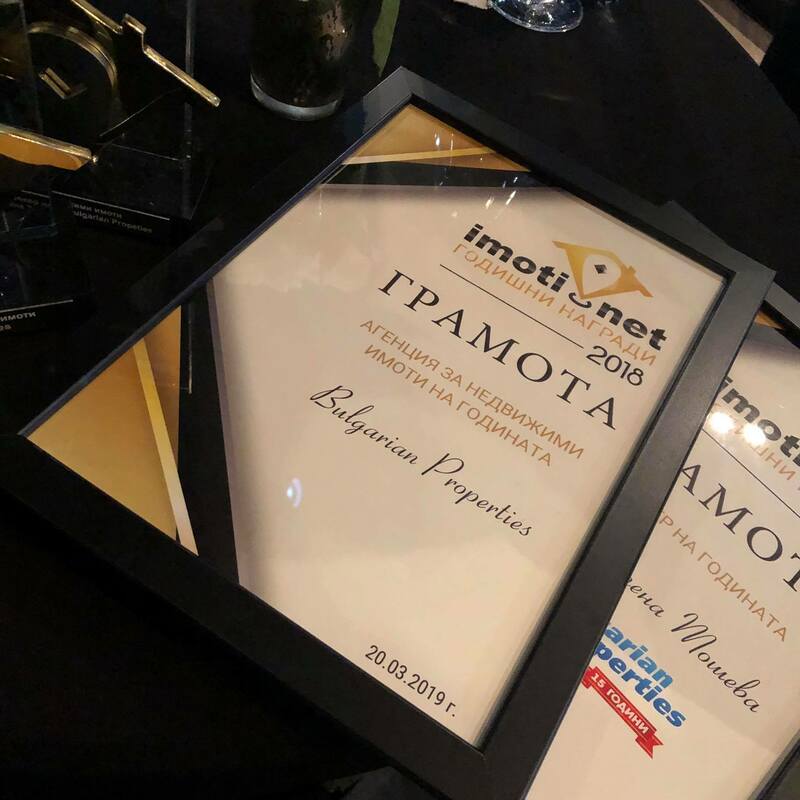 We thank all property owners, investors, buyers and tenants who chose to work with us and give us the opportunity to show what we are capable of, as well as to learn and to progress!